Regal provides financial management consulting services across different spheres of your business. 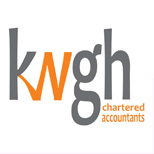 Our objective is to ensure that the finances of your business is put and maintained in a healthy condition. Our financial consulting services include but not limited to strategic planning, profit enhancement, equity management, branch acquisition, stock valuations etc.